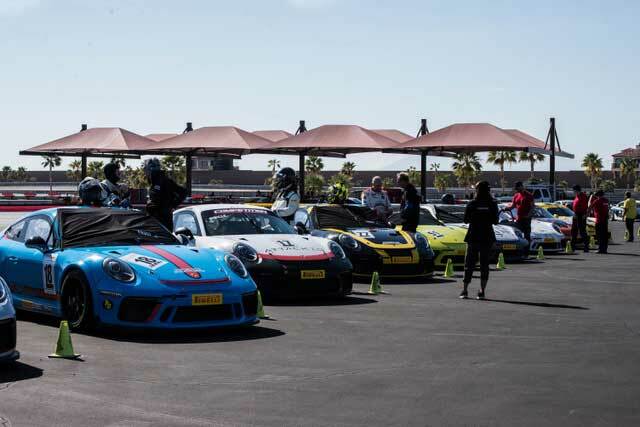 Thermal, California – Porsche Trophy West USA monopolized The Thermal Club today with an amazing start to the 2019 season. 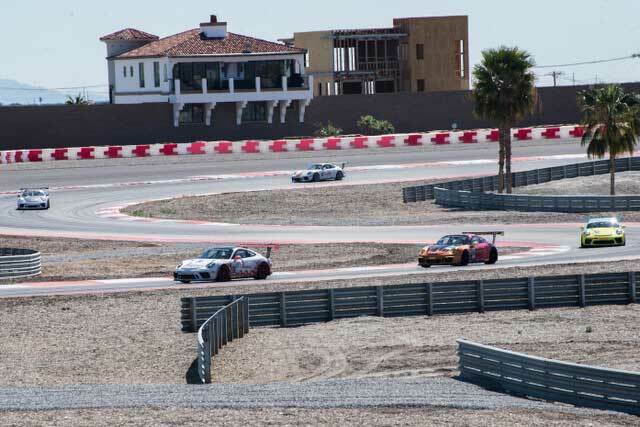 Drivers of Porsche Trophy West USA squared up and battled it out across their respective classes to claim the very first podium finishes of the 2019 season. Martin Brauns, Dmitri Novikov, Ranson Webster, Erin Vogel, Jim Walsh, Hutton McKenna, and Ray Shahi ultimately finished first scoring introductory points for the season . 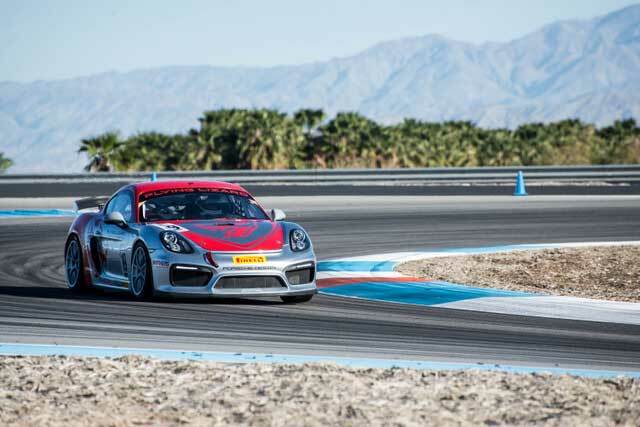 Twenty-eight Porsche Cup cars in six classes went head-to-head at The Thermal Club: Bronze (Porsche Cayman Clubsport GT4 MR and Cayman Clubsport GT4 Trophy), Gold (Porsche 991.1 GT3 Cup), Platinum and Platinum Masters (Porsche 991.2 GT3 Cup), Emerald (Porsche 991.2 GT3 Cup MR), Silver (Porsche GT4 Clubsport SRO, Clubsport Comp Cars, Model Years 2019). Group 2 débuted the 2019 season with the first race of the day. Martin Brauns, Dmitri Novikov, and Ranson Webster were solo in their classes during race one, but that didn’t stop them from presenting fantastic lap times for the day. New driver, Erin Vogel gave an impressive performance , dominating Bronze Class while overcoming multipletrack conditions to take first place. High track temperatures coupled with the anticipation of Group 1’s season opener led to a very exciting start to their own race. The drivers of the Gold, Platinum, and Platinum Masters classes screamed past the start stand and dug aggressively into turn one. Platinum Masters winner Jim Walsh had a front row seat to the action. Hutton McKenna, a new driver in the Platinum Class, started the race in pole-position and was able to maintain his lead throughout the 35 minutes of wheel-to-wheel racing. The threat of experienced drivers who were eager to capitalize on mistakes gave Hutton a powerful reason to drive a perfect race and pushed him to his first victory of 2019. The experience of the drivers that followed behind Hutton was very apparent throughout the race. Gold Class driver Ray Shahi put on a clinic finishing best in his class and fifth overall in his 991.1. “The race was fast,” said Shahi. “Being able to race amongst 991.2 cars in a 991.1 car and finish 5th overall was fantastic. 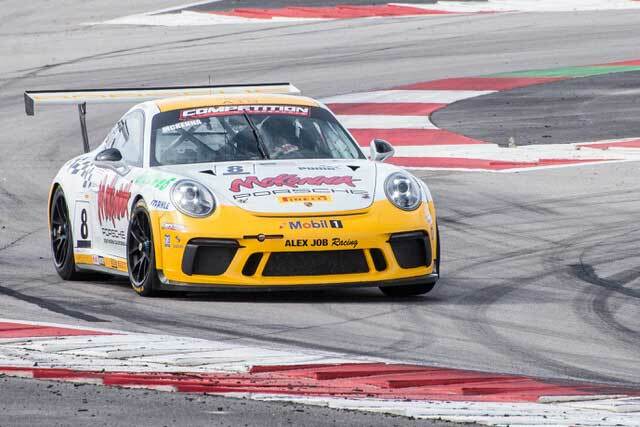 Going forward into tomorrow’s race I’m just going to keep my head down, try to qualify better than I did today, and try to reproduce the results that I had today.” The 2019 season opener went off without a hitch and was a pleasure for Competent Motorsport’s President, Greg Franz.“I’m excited about the results today. In both races, the drivers took a cautious yet competitive approach out on the track. It’s always very exciting to have two races that are accident free and caution free. 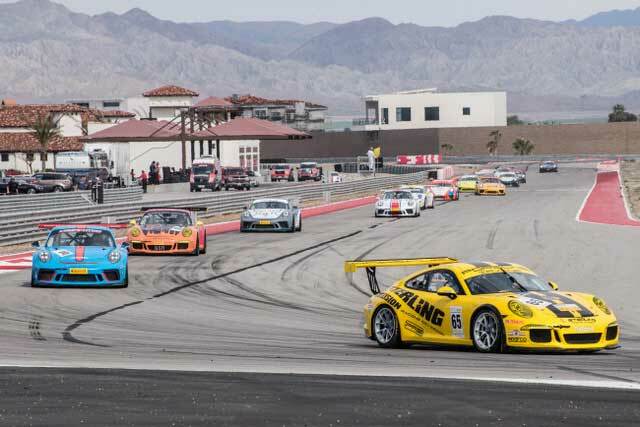 It really sets the tone for what will continue tomorrow, and hopefully into the entire season.” Porsche Trophy West USA will return to The Thermal Club for race 2 on Sunday.